Festac town which stands for Festival of Art and Culture is a town in the Upper-belt of Amuwo-Odofin Local government Area in Lagos state southwest of Nigeria, the town is traceable at Lagos-Badagry Expressway. Festac was formed from the world African festival of arts and culture which was the second held in Nigeria after that of Dakar, Senegal. Its first name was Festival town and it was found in the Regime of Olusegun Obasanjo (General) in the year 1977. Festac is surrounded by the listed towns Agboju, Oluti, Alapako, Amuwo, Isunba, Kirikiri, Trade Fair, Satellite Town, Abule Ado and Alaba. Few kilometers can take us to any of the neighboring towns. The town has popular streets such as 22, 23, 401, 512 and 712 which are used for shopping complex, post office, slot, hospitals, Banks, Restaurant, Nightclub etc. facts remains that the streets and environ of Festac is a beautiful and pleasant place to be. The town has a population of about 697,000 people and more who are from different part of the world; though the majority of the people living in this town are Nigerian, while the others are Ghanaians, Togolese, South Africans, Chinese, Japanese, Arabs etc. facts proves that the Nigerians living in this towns are mostly the Igbos, Efik, and Ibibio, and the Yoruba the few are Edo, Delta, and the Northerners who mostly are used as gatekeeper. Festac town is an industrial area for Construction Company, Steel Company, Transportation, Automobile dealers Factories, Hospitals, Hotels, Eateries, Schools etc. however, the town promote commercialism and as a result of this drives a high traffic to the town. All kinds of foods furniture’s, cloth, steel, shoes, bags, etc are produced in Festac. Indeed festac holds a prestigious place in the heart of Lagos. The town is populated with children and adult, who are either a student or business people. Festac has its own government school called Festac Grammar School which is for both boys and girls, and Festac girl secondary school, there are other top private schools that are owned by individuals in Festac town. 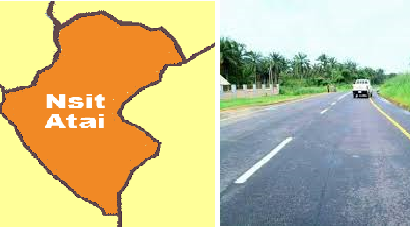 The town is classified into two which are phase 1 and phase 2 and it is also further grouped with 2 set of people which are the rich and the poor, the environment itself can differentiate that, the area of the rich can be compared to some of the towns in an advanced country while the poor man side is still looking rich compared to some of the towns in African countries. The type of food eaten in Festac town ranges from the Nigerian local foods to African continental, Chinese, Americana, etc. a typical example is fufu and vegetable soup with coke, white soup with chicken meat, Eba, Amala, Pizza, Hot dog, etc. well, an average man should have an idea of the type of cuisine been discussed here or a visit will actually throw more light to a reader. The languages spoken in this town is broad, most official languages like English, French, Chinese, Portuguese, Hindu etc are spoken in this town. Others are Japanese, Pidgin or Broken English, Igbo, Yoruba, Hausa, Annang, Efik, Ibibio, Edo etc. there are many languages in this town as Festac is an International town. A great number of people here are Christian, others are Muslim, Hinduism, etc. many churches exist in this location and are very power, many people travel from another town, state and country to attend some of the churches in this town for deliverance. Only a few traditional worshipers who cannot easily be traced exist except if one has contact with them. Festac itself is a festival town, during the festive period Festac is not always left out has many celebrities who live in the town will organize shows and hold events in several hotels and suite, others will host a carnival and entertain the environment with pleasant vibes. 2face Idibia owns hotels and other busines and once lived in Festac until when he got married and left Festac in 2013 to Lekki phase 1, other Nigerian and International celebrities and Artist lives in Festac too. The closest Airport to Festac town is the Murtala Mohammed International Airport which is the most used Airport in Lagos.